Good reviews. Will put on yard for a nautical theme. My sister lives in the Maritimes and they are commercial lobster fishermen. This is a perfect addition outside her little lobster shop. 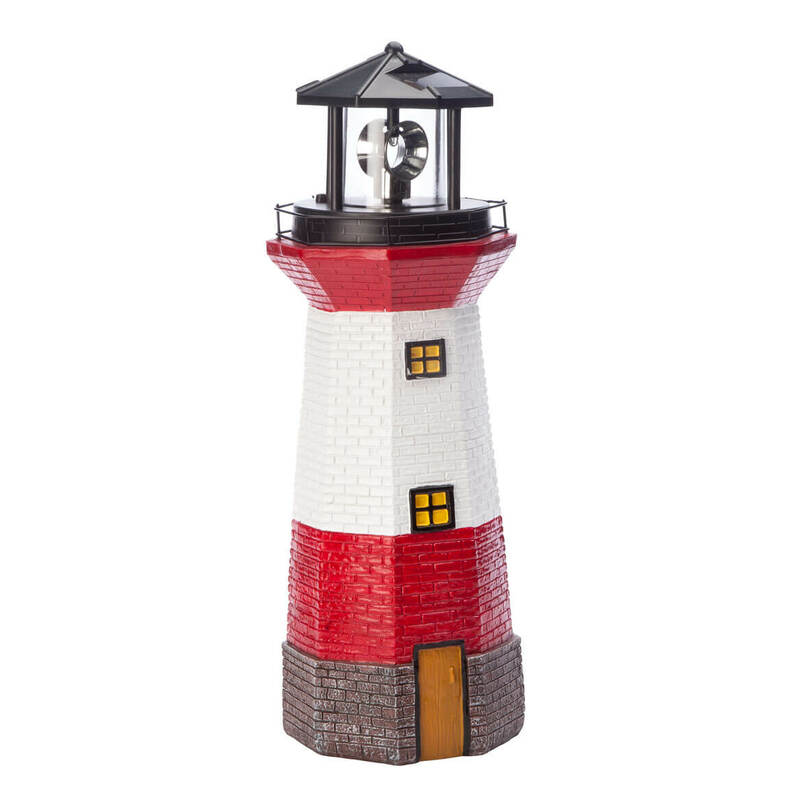 My girl friend loves light house and I ordered this for her birthday. I would like to put it over a well, is the bottom open or sealed? BEST ANSWER: The bottom is sealed. My friend really liked it. It has solar power when put in the sun so it lites up at nite. Yes you can, it's sealed. I wouldn't put it the water though ! How do the batteries get changed?????? 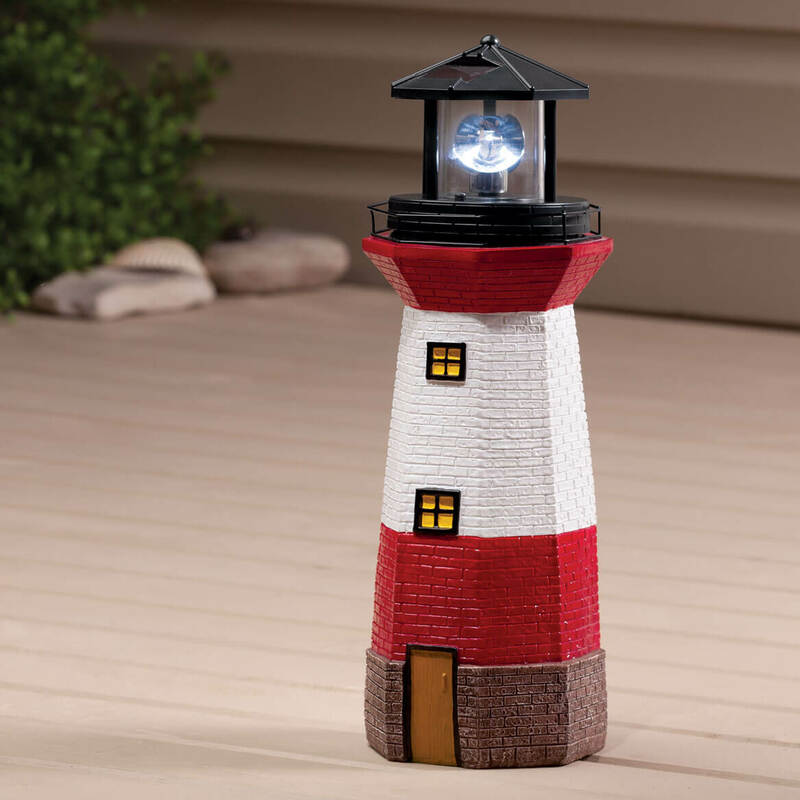 BEST ANSWER: Hi there...it is a solar powered item so when set up in a sunny place or even in indirect sunlight to a certain extent, the light from the sun will charge the batteries, similar to solar powered pathway lights. I will say however, if it has been particularly overcast or rainy, the batteries may not charge s they should resulting in either dimly displayed light beam or no light at all. But don't dismay! All it will take is one good bright sunny day and then the lighthouse beam will once again be beautifully bright! Hope this helped...Enjoy! Thank you for your question. To remove the batteries. You need to untwist the black portion. There a plastic tab that can be opened up and from there the batteries can be adjusted. We hope this information will be of help to you. Batters are charged by the sun. there might be a tab you have to remove by the battery. to take the top off turn top and lift off. hope this is helpful. you charge them with a battery charger for the type of batteries that in it you can find them on lime just type in chatger for what ever it calls for. They are charged by sunlight. I placed mine where it gets the evening sun and it charged fine. There is only one AA and the top comes off and the battery is underneath. Simple as that.